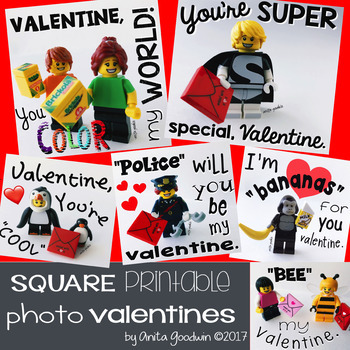 11 different square photo valentines. You can print and add your own candy or little food free gift with them. Students could also glue the photo to a piece of paper and add their own little note and make them for friends or family. Note this is a zipped file and includes the 11 square photos that are shown in the preview. You will need to be able to unzip it to open it to use you photo valentines.